Common Core Resource and Culinary Treat, Yum! On September 11, Diane Grimsley-Goldberg wrote a guest post about a new resource she was using to teach about the heroes of 9/11. 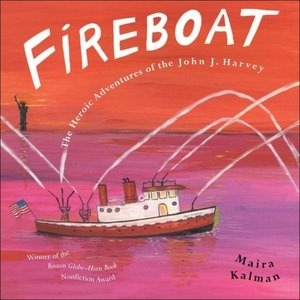 She wrote about the picture book, Fireboat: The Heroic Adventures of the John J. Harvey. For those teachers looking to balance informational text with literature, as per the Common Core Standards, this true story of a retired fireboat that was recalled into service to help with the rescue efforts, might be just what you're looking for. And this weekend, you can see the real John J. Harvey at the Oyster Bay Oyster Festival. Combine your Common Core research with a culinary delight! Enjoy!